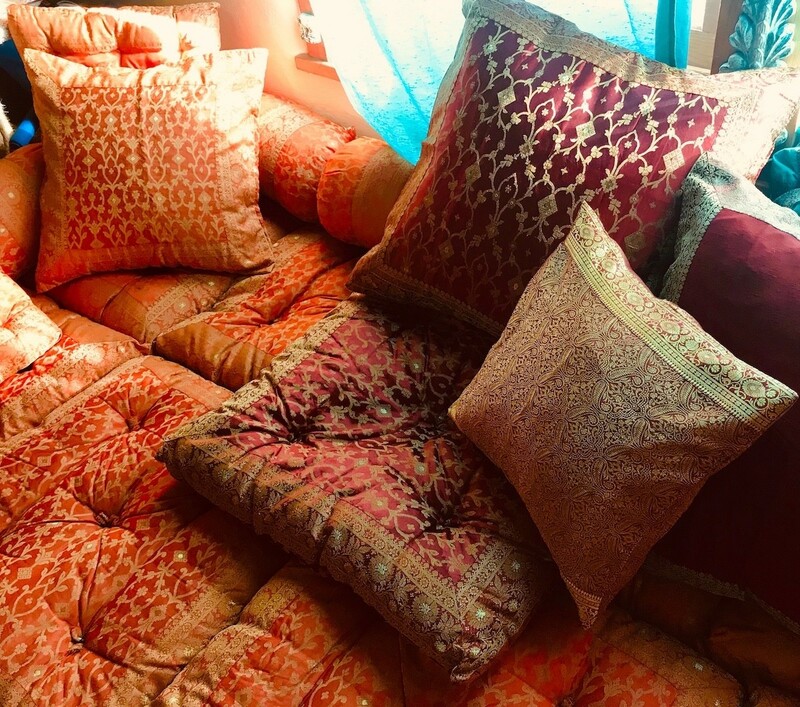 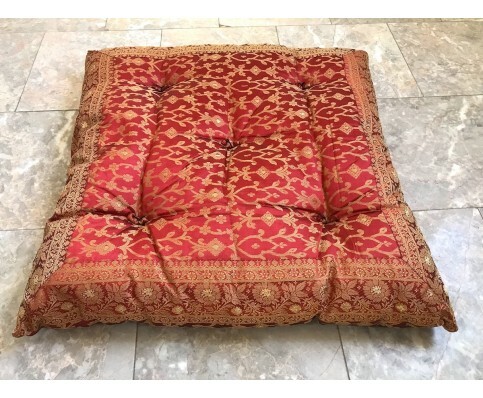 Indian Sari Floor Cushions, 24x24"
Transform floor space into lounge space with soft, comfortable sari covered cotton floor pillows. 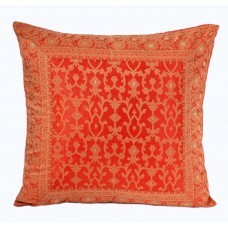 Kela Sari Floor Pillows are stitched from traditional North Indian Saris, hand tufted, and stuffed with natural cotton and poly. 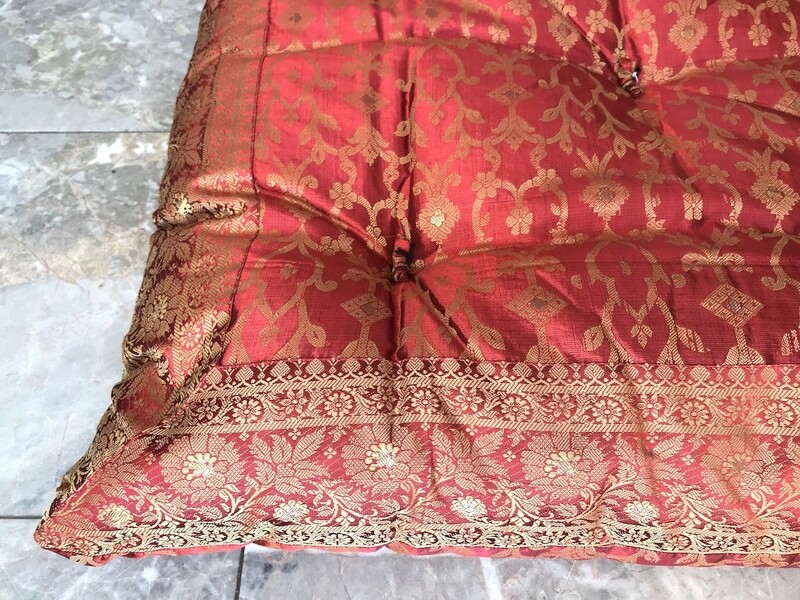 The kela sari is a thick fabric which features a unique vine pattern and an intricate embroidered border. 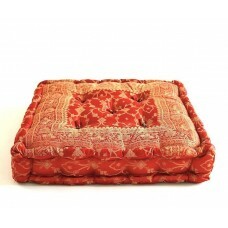 Stack them in your living room for cozy impromptu seating. 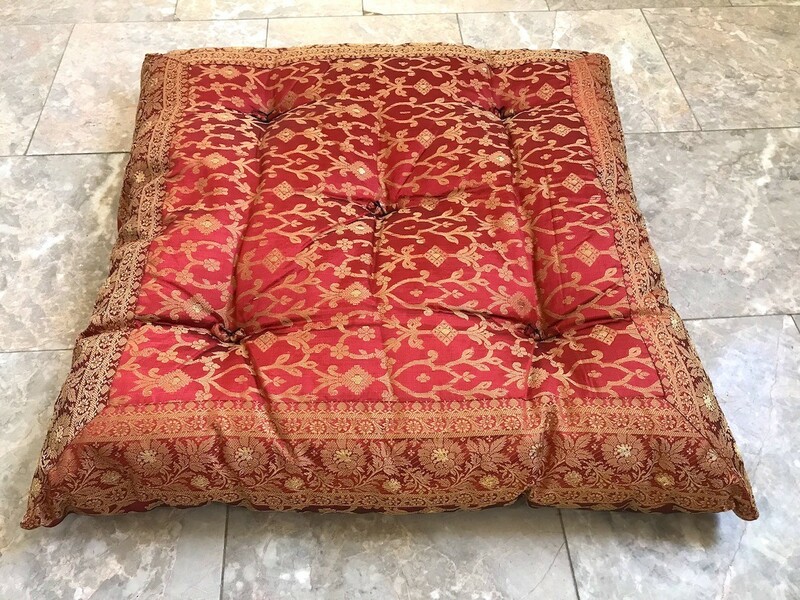 Great for yoga and meditation. 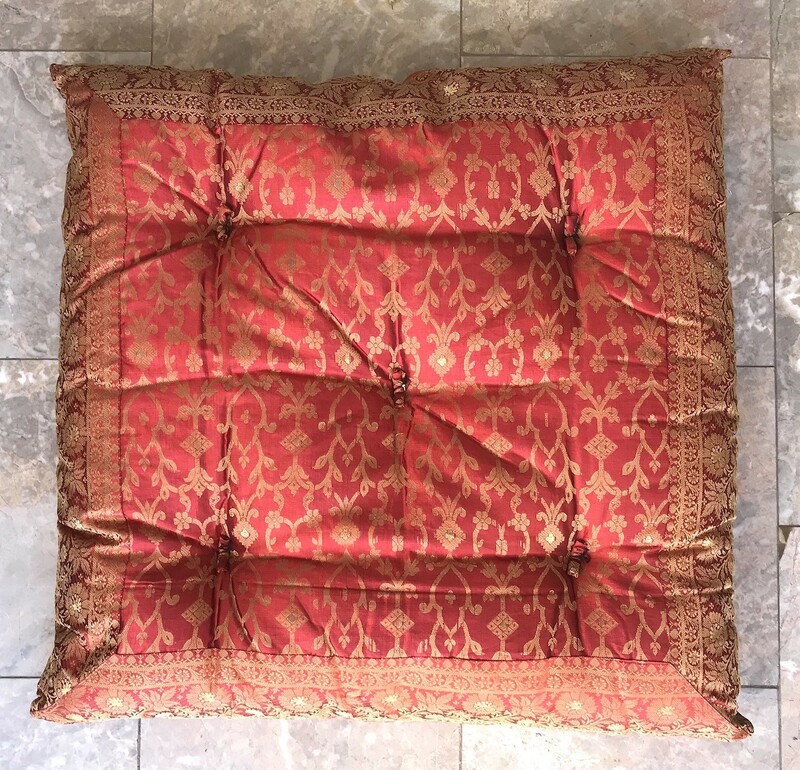 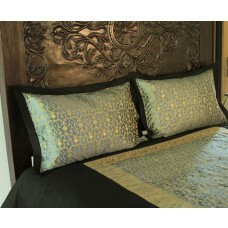 You're reviewing: Indian Sari Floor Cushions, 24x24"